This awesome artwork was created by Marci Davis. She writes, “Until the end of time…more time! So what all is going on here?…. Occupy the Tea Party with Panama Red! !– Another great one from Peter Rowan on his tour with The Mosier Brothers from Pisgah Brewing Company last Thursday night. Thanks to Mark DaBabe Roth for recording. Thank you Peter Rowan for writing such a touching song in honor of Doc Watson & sharing it for the very 1st time! Thank you Peter Rowan for writing such a beautiful and touching song in honor of Doc Watson and sharing it with all of us for the very first time at Pisgah Brewing Company at last night’s show with The Mosier Brothers!!! Thanks to Mark “DaBabe” Roth for recording. 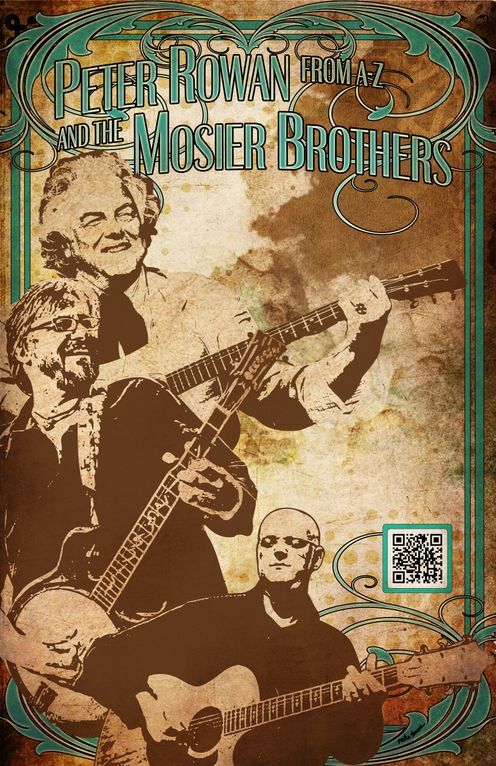 We are thrilled to announce Peter Rowan will be joining The Mosier Brothers for a series of select shows! Peter Rowan has played in Bill Monroe’s Bluegrass Boys, with Jerry Garcia and David Grisman in the supergroup Old & In The Way, and with Tony Rice and a host of other acclaimed musicians throughout his storied career. Now, the Grammy winner joins The Mosier Brothers, the Atlanta band that evolved from the psychedelic hick-hop jamgrass band, Blueground Undergrass. Johnny and Jeff Mosier. Photo by Ian Rawn. Veterans of the jamband and jamgrass scenes, The Mosier Brothers have been entertaining audiences for over 30 years (longer if you consider pickin’ on the front porch with their family), first with the bluegrass band Good Medicine for 23 years. In the late 1980’s, Jeff Mosier got his first experience playing Rock on the cutting edge of the newly developing jamband scene as a founding member of Col. Bruce Hampton’s Aquarium Rescue Unit, the band that gave him the stage name “Rev.” In 1994 he toured with Phish and tutored them in the ways of bluegrass. The Phish Companion writes “Perhaps no guest artist has had as great an influence on the band’s music as the Rev. Jeff Mosier…”. 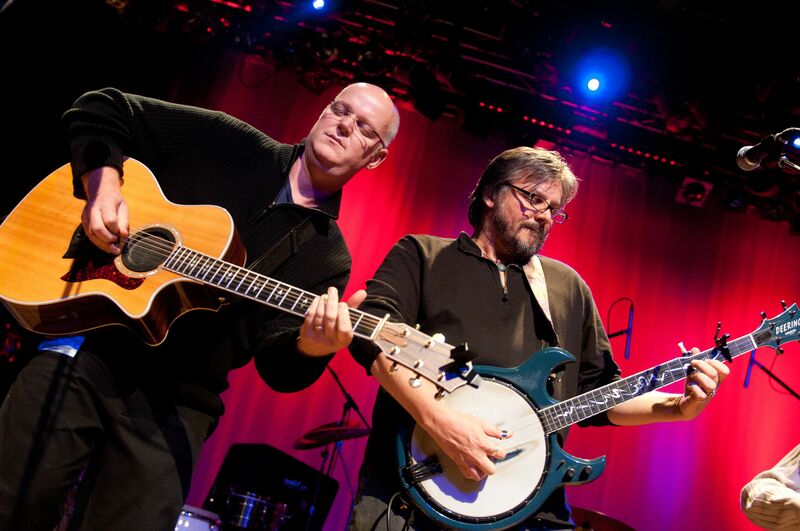 The brothers re-joined in 1998 in Jeff Mosier’s first nationally known brainchild, Blueground Undergrass, one of the earliest bands to merge bluegrass instruments and traditional tunes with the magnetic energy of Rock n Roll. Then, in 2010, they formed The Mosier Brothers which more finely blends the traditional bluegrass sound of Good Medicine and the jamming of Blueground Undergrass into a more song-driven Americana roots rock unit, all while remaining an eclectic endeavor. 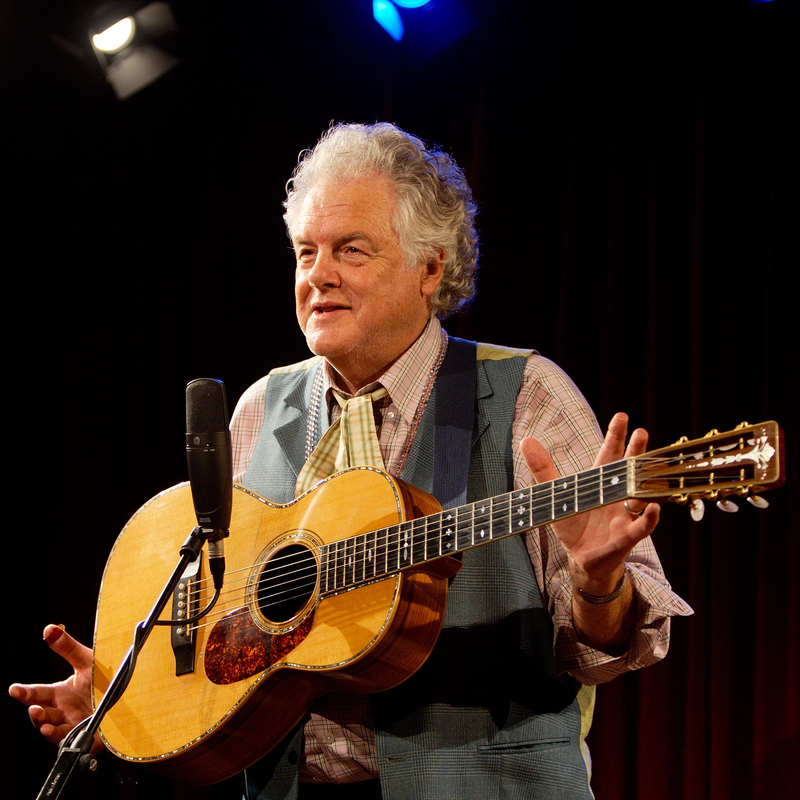 For these “Roots and Branches” shows, Peter Rowan and The Mosier Brothers will be performing an A-Z retrospective of Rowan’s musical career. Peter Rowan. Photo by Ronald Rietman. Peter Rowan and The Mosier Brothers will be both acoustic and electric for each performance, as will their band of Kris Dale on bass, Edward Hunter on fiddle, and Will Groth on drums. The Rowan/Mosier recipe will give the songs a new spin while keeping the original flavor, in what promises to be one of the tastiest of musical collaborations.